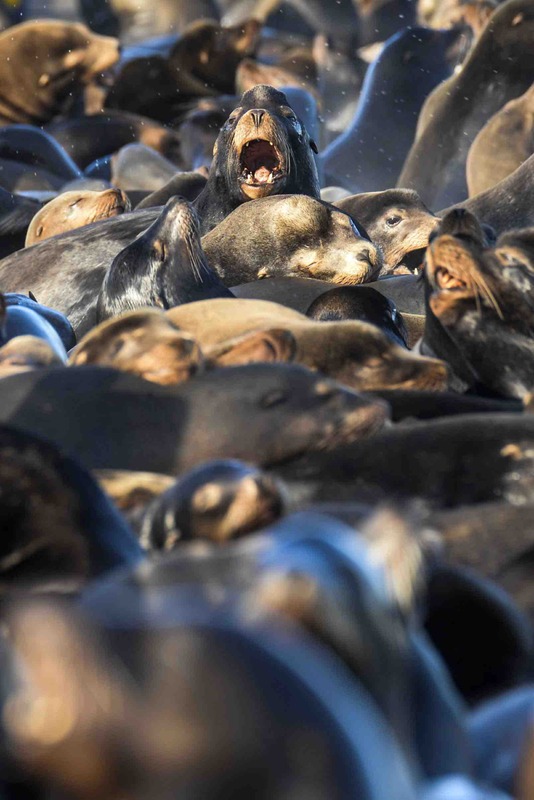 Sea lions captured about 5,800 salmonids, 34 sturgeon and 500 steelhead. Each year in early spring, oppurtunistic sea lions feast on thousands of migrating fish along the Columbia River at the Bonneville Dam. The federal government gave permission to wildlife agencies in Washington and Oregon to kill and remove California sea lions seen preying on salmon, sturgeon and steelhead populations in 2008. Officials have killed 47 sea lions under the management plan so far this year, according to the Oregon Department of Fish and Wildlife. However, the government's approval for the plan runs out in June and animal rights groups are working to stop its renewal. "This is, if you will, a kind of treadmill of death. You put the animals on it and you're never gonna get off because it isn't getting you anywhere. What you are doing is not making any progress at all. Which means you are killing them for nothing," Sharon Young with the Humane Society told KGW. The plan was put into place to save thinning fish populations. Sea lions captured about 5,800 salmonids, 34 sturgeon and 500 steelhead, according to a 2015 four-month monitoring report by the Oregon Department of Fish and Wildlife. "These are the fish that a lot of people are working really hard to save by improving habitat and making improvements at the dam and we don't want to lose ground by having them be eaten by sea lions on their way back to spawn," Michael Milstein, a NOAA spokesman, told KGW. Officials permanently removed 32 of sea lions in 2015. They are authorized to use lethal measures on up to 93 sea lions a year, according to the Oregon Department of Fish and Wildlife. "I don't think we need to kill every sea lion we see. That's not the point here," Bill Monroe Jr., a sport fishing guide who supports the program, told KGW. "The point here is to cull the population to a point where it won't have such a huge impact.